Inter have found “new life” with Spalletti this season. If by “new life” you mean starting off strong and then tanking like they usually do. I mean two games is hardly a proper tank, at least not like the one they pulled off at the end of last season, leaving us their Europa League spot and giving them their midweeks mostly free this year. So while we have been traveling to Macedonia and Croatia and now Bulgaria and getting worn out mentally and physically playing lots of extra games, they have been having their nails buffed at the end of their mani-pedis and taking calls from their WAGS while wearing facial masks and cucumbers on their eyes. I mean can you imagine how hideous they would look without all of that high maintenance upkeep? But if their eyes are puffy, it will be from all of the crying after their 1-0 loss on Saturday to Sassuolo, in which their “captain” Icardi had his penalty saved to drop all three points again. I mean it wasn’t quite as karmalicious as them losing 3-1 to Massimo Oddo’s Udinese the week before, but still it was entertaining. 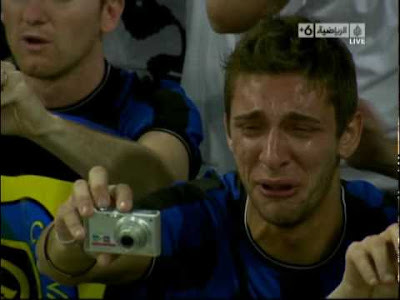 For the Sassuolo debacle, Spalletti lined up Handanovic; Miranda, Skriniar, D’Ambrosio, Cancelo, Brozovic, Valero, Gagliardini, Icardi, Perisic, and Candreva. They will have even more to cry about in that two of their starting defenders, D’Ambrosio and Miranda, went off injured in that match, and will be unavailable to face us for this competition to end all competitions. Speaking of the ever popular Coppa Italia, that and a corresponding Supercoppa are the only trophies Spalletti has ever lifted in Italy. Twice he won this beloved and cherished title with Roma, following it up with the one-off Supercoppa. And without Moratti and Facchetti around anymore at Inter to orchestrate a matchfixing scandal where they take down an entire league and exonerate themselves from their own guilt through concealing evidence and having friends in every high place possible, this could be the only trophy they have any chance of actually winning. As would be our luck, Milan are much worse off. While Inter may have dropped from first to third in the past two weeks, Milan have plummeted from a paltry seventh to an unforgivable eleventh. 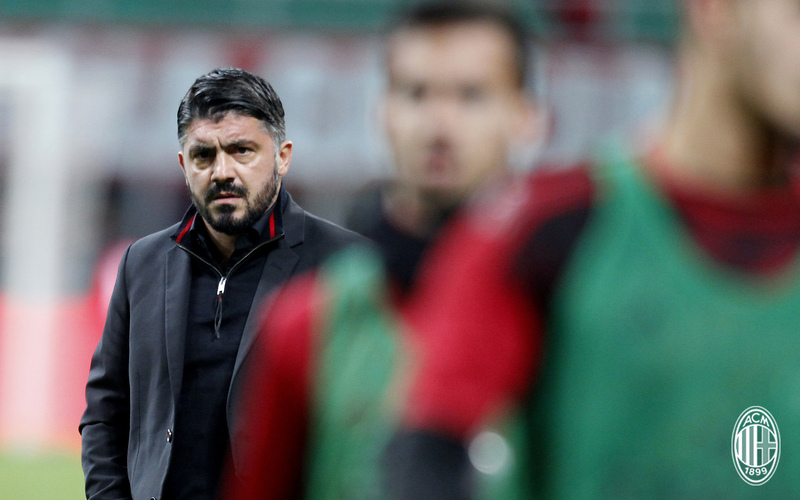 It’s something I like to call “The Gattuso Effect.” He’s certainly not to blame for all of the failure, rather he was an unwitting pawn to cataclysmic events already happening. Or in layman’s terms, he’s helping things at the club to go from bad to worse. Giving all new meaning to the term "destroyer"
Gattuso will be missing Conti and Jose Mauri still to injury. 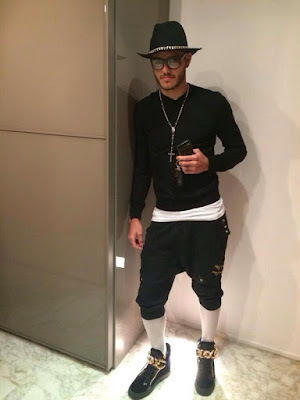 Wait, let me rephrase that: he’ll be missing Conti. But actually, Conti has never played a game under the reign of Gattuso, so it will be more the team and the fans missing him. We will also likely be missing our mentality, our dignity (I expect a public reprimand from the club for using that word,) and possibly our will to live. And with 53 shots in the last two matches with zero goals to show for it, our chances of winning this match are near impossible. I mean Gigio is not going to be saving any penalties, because the douchebag Milan fans are still going to be abusing him for literally not saying or doing anything, which we’ve already seen is taking its toll on him. So even if it’s a dysfunctional draw at the end of extra time, those crybabies with the impeccably manicured nails will probably still take this one. As with all dysfunctional family gatherings, this one will be best when it is over. And if we bow out of this competition at this point, I will not lose any sleep. We can’t even manage one competition right now, let alone three. But I also want to win more than anything for pride alone. It’s Inter. It’s like when creepy Uncle Ivan is looking down your mom’s blouse again, and he gets away with it because Aunt Martha suddenly passes out drunk as a distraction. Inter winning anything will always be creepy and wrong, but Milan have got to get control over our drinking if there is to be any justice. Or any chance of winning. This match will be shown LIVE on GOL TV in the U.S.